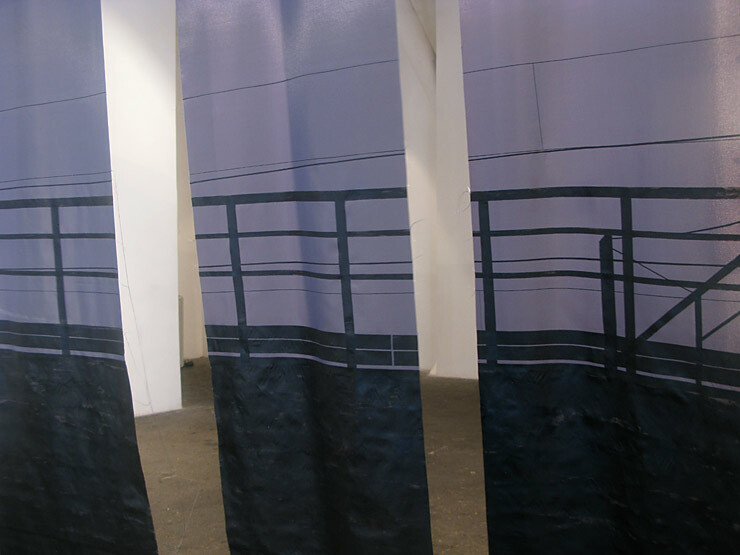 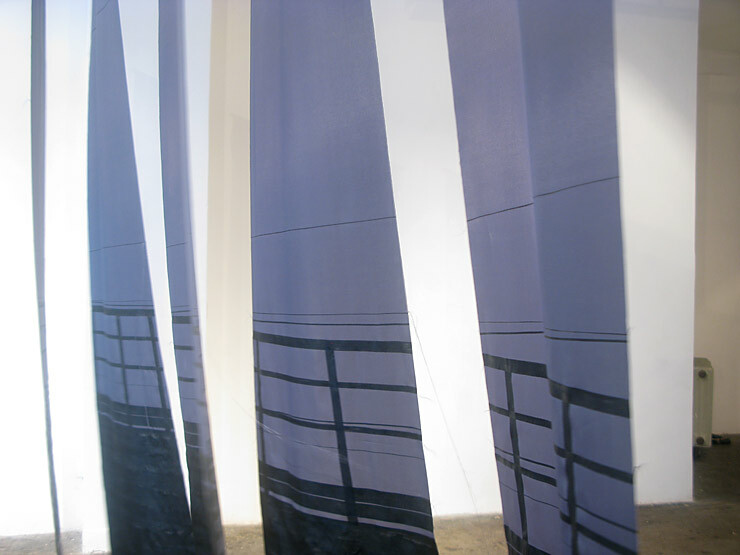 The railing and overhead wires of the railway is painted on synthetic textile, which was then cut in 6 pieces, hanging in diagonally displaced layers in the room. 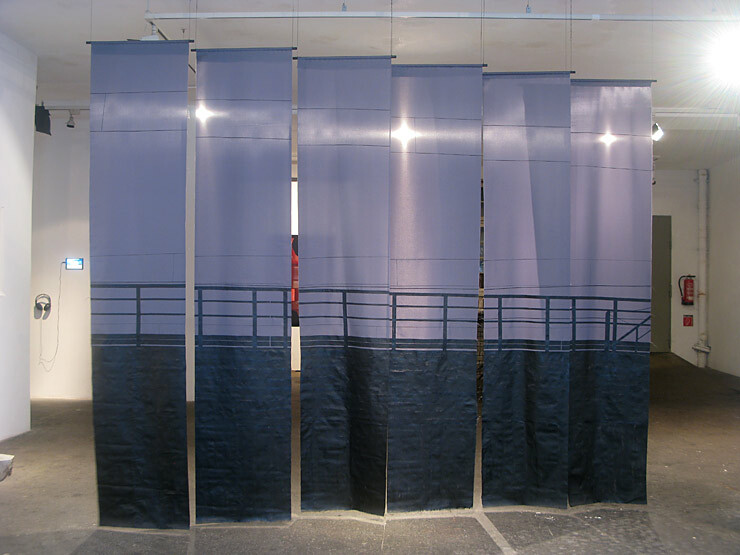 The work depicts the railroad overpass at Sydhavn Station, but the flat, horizontal image is transformed into a spatial, fragmented representation, underlining the rhythmical, repetitive aspects of the picture. 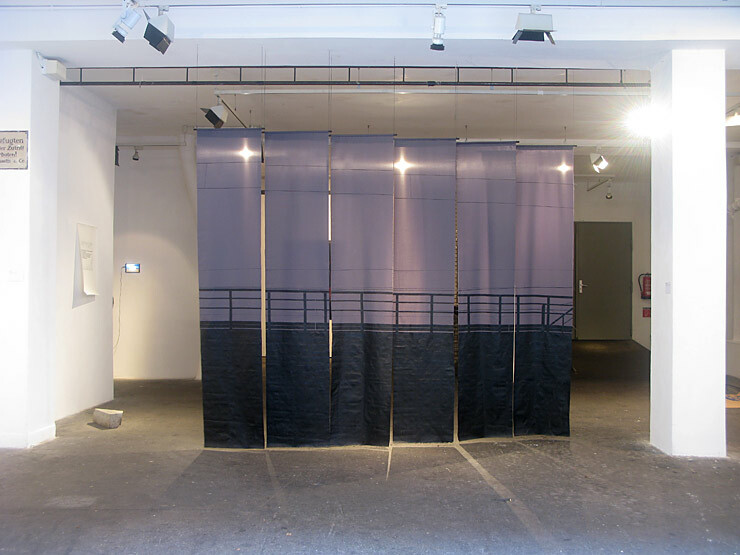 Shown at the exhibition "Die Zukunft - Wir denken mit den augen" / "The Future - We are thinking with the eyes"
The exhibition space Sydhavn Station was invited to exhibit at Westwerk, which is one of the oldest artist-run exhibition spaces in Hamburg. 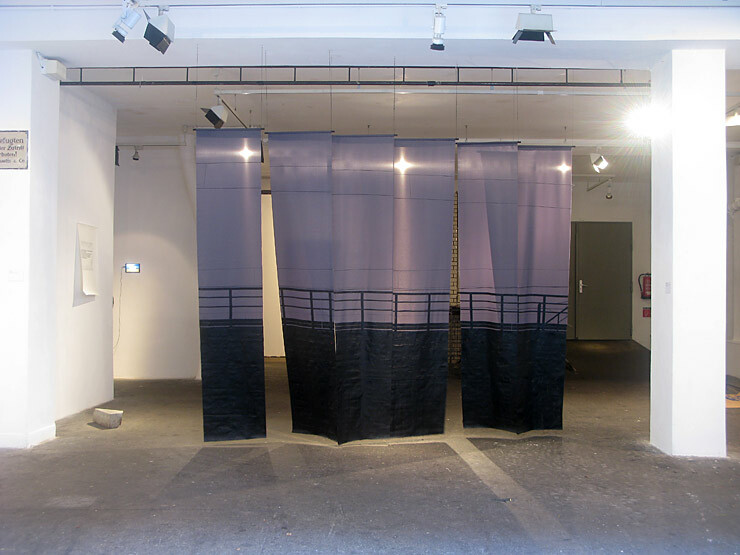 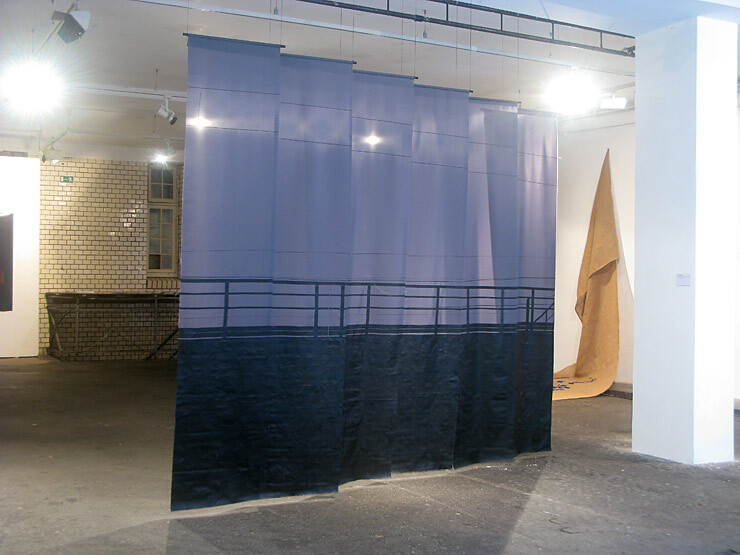 Participating artists: Anne Skole Overgaard, Jens Axel Beck, Camilla Rasborg, Thorgej Steen Hansen, Mette Juul, Sonja Lillebæk Christensen, Heidi Hove, claus ejner, Ulla Hvejsel and Morten Kamper Jakobsen.